I’m going to tell you the secret for turning what is typically our slowest month of the year into our best month of the year. December is usually the slowest sales month for Realeflow. It’s to be expected, every company with something to sell is trying to get you to part with your hard earned dollars for Christmas and, between that and the holidays, hardly anyone is thinking about buying a new software program. We usually perform at about half of an average month. But this December, we actually had more than double our usual sign ups. Not only that, but we had the best month we’ve had in the last 2 YEARS. So how did we do it? I'm going to tell you. And why should you care? Because you can do it too. We decided to take a hard look at our customers and subscribers, and see where they were coming from. More than half of our conversions come through people who have come directly to our website, realeflow.com. 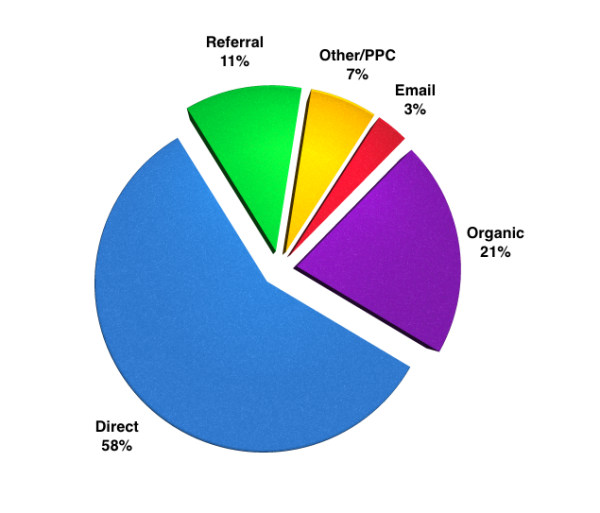 Of the remaining traffic, 21% is organic, 11% come from referrals, 7% comes from PPC and other sources outside the web, and 3% come from email. So we took a look at our website, and we decided to try some experiments to increase our conversions. We have done dozens of tests since we decided to start experimenting with our home page. Using tools like Optimizely allows us to see our results and make decisions quickly. Today I’m going to focus on an experiment that was a minor change to the home page, but had a big impact. Bigger than we expected. Realeflow, like many other businesses, uses email to connect with our users and subscribers. 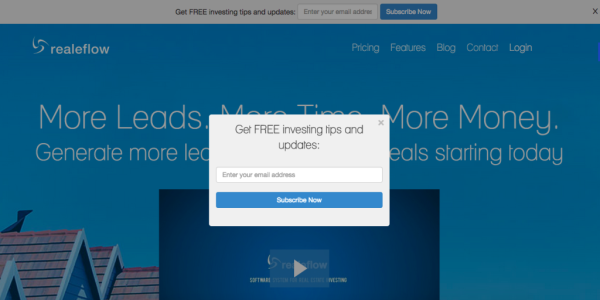 One of the ways we get people to opt in to our email list is through an opt in box on our home page. The box was getting some opt ins but it wasn’t grabbing people’s attention the way we thought it should be. We wanted to do something to increase our number of subscribers to Realeflow updates, so we decided to do a couple of experiments. We added Smart Bar, from SumoMe, a free application that allows you to add 2 elements to your page. The first element is the bar itself that goes across the top of the page. I’ve added a picture below so you can see what it looks like. This bar stays at the top of the page and follows the visitor as they scroll down. Not a huge change, right? The second part of the application allows you to create an engaging exit pop. The exit pop is set to come up the first time someone hits the page and the page senses the visitor’s mouse is on, or near, the address bar, about to exit the page. The exit pop doesn’t interfere with the user being able to click off the page, but it draws their eye back to the page and asks for their email in exchange for something of value one more time. When you factor in that the average page visit on most websites is less than 15 seconds, adding an additional 3-5 seconds of page time is nothing to scoff at! Our expectation was that giving visitors more opportunities to opt in would result in an increase in sign ups on our page. We hypothesized conservatively that we would see an increase of about 10%. Our actual result was an increase of 109%! That’s over 10 times our initial estimate! This was a fantastic result for our team, but more important than the result, was the process. Our goal at Realeflow is to take the guesswork out of our marketing efforts and be as scientific as possible to create better results. We break the process down into 3 parts. We take the information we have now and, as a team, we brainstorm ideas for new ways we could improve on our results. We use multiple platforms to measure performance. For this experiment we used Optimizely, a great split testing service that allows you to create split tests with a visual editor. Whatever tool you select, you should make sure it meets your requirements and level of detail in its reporting. Finally, decide which test is winning when you’re confident that you’ve given it enough time to run. Don’t pull the test down too early, but don’t let it continue to run longer than necessary. As soon as you’re confident that you’ve got a clear winner, make that the control page and test against that in your next experiment. While our experiment yielded a great result it, by no means, should indicate that we’re done testing these features. Over the course of a few months, we will test multiple aspects of both the bar and the pop up, until we’re confident we’ve optimized it for maximum effectiveness. Testing and optimization aren’t about one thing being better or worse than something else. Each page and situation is unique and will have its own ideal design and message. The important thing is to keep coming up with new ideas and testing them. What we think is a good result today could be surpassed again tomorrow by the next experiment, and so on. Why should you care about any of this? Because you can, and should, also measure KPIs to know how your marketing is performing and how to make it better. Here are the 5 KPIs that you, as a real estate investor, should start tracking now, if you’re not already. As you become more familiar with KPIs and what’s most important to track in your business, you can tweak them for your own needs. 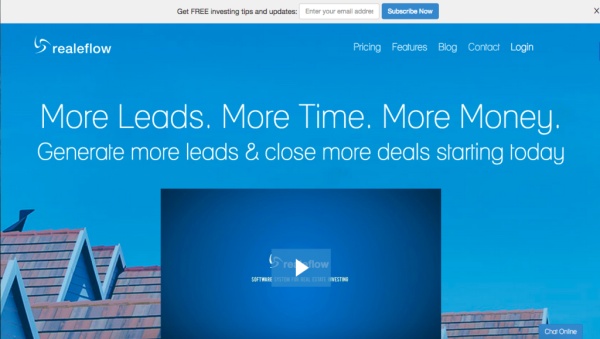 Track every dollar you spend to generate leads and how many deals you successfully complete from those leads. Add up profit from each deal and measure that against what you spent to generate the lead. This is how much money you spend to generate a lead. Take the total number of leads generated (per campaign) divided by how much money you spent on the campaign. This one requires some planning and organization. In whatever system you use to manage your leads, you’ll need a way to tag them with their origin campaign, such as with a “W” for website leads or “DM” for direct mail leads. Once leads are tagged, you can see where your deals are coming from and, if you track the profit margin, you can then see where your best deals are originating. From there it’s an easy task of averaging out the deal profit for the lead type. This will allow you to see what marketing efforts are yielding you the best results. This KPI tells you specifically for every dollar spent on paid advertising, how much you got in return. If you set your lead value KPI up correctly this will be easy to get from the individual marketing funnels you’ve done. You want to know that for every dollar you spend on marketing efforts, you can get 2-3 dollars back in revenue, and tracking this KPI is key to measuring marketing success. You should always make sure you’re tracking your opt in conversion rates, and be working to improve them. People think of websites as free leads, and tend to let their website sit stagnant, which is a mistake. You should be measuring your conversion rates and always testing new ways to improve your conversion through changes in copy and images. 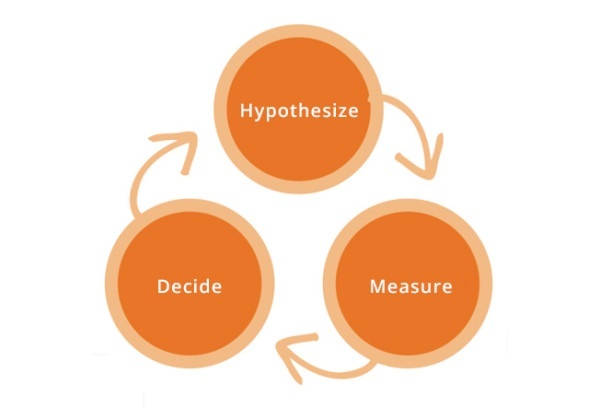 Continually testing new theories and measuring the results to determine how the changes impacted your business are the best ways to learn more about your subscribers and customers and what appeals to them. You will undoubtedly test some theories that will “lose” against your control, which is great information to have. Even the “losses” are considered “wins” because that is valuable data that tells you a lot about your customer. There is so much content out there that simply guessing about what is going to work and what your customers want just isn’t good enough. Real data is what is going to produce real results. And because of this experiment and the great results that it produced, we are now working hard to make sure that all of Realeflow's website templates include welcome gates and exit pops. So not only is our business benefitting from this experiment, but so are our customers. I would love to hear about any split tests that you’ve done in your business. Please leave a comment below with a short description of the test and the results or any questions that you have on KPIs.